Theo Walcott is close to sealing a move away from Arsenal, after they agreed a £20million deal with Everton for the England forward. 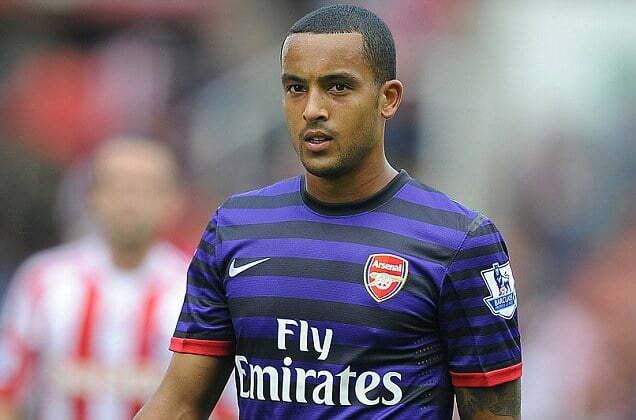 It seems Walcott, 28, has played his last game for the Gunners, whom he joined from Southampton 12 years ago. He has scored 108 goals in 397 appearances for Arsenal, but will now reunited with Sam Allardyce at Goodison Park. His medical is expected to be completed in the next 24 hours. Another forward that could join him through the revolving doors is Olivier Giroud. Giroud could be involved in a deal to bring Pierre-Emerick Aubameyang to the Emirates this month. Reports in Germany claim Borussia Dortmund have rekindled their interest in Giroud, who they attempted to sign ahead of this season.